I figure it’s time for another gluten-free post, because even today, many years after getting gluten out of daily diets has improved the lives of so many people, there are still throngs out there who believe gluten-free is nothing more than a fad. These may, ostensibly, be the same people who still believe the Earth is flat. A Chinese restaurant here in Seattle has a gluten-free menu, from which you can order dishes that have gluten. They won’t bother to tell you that until they bring out the flour pancakes to accompany your mu shu, and only if you ask. “Are these flour pancakes?” You ask, because they look and smell like flour. “But I ordered from the gluten-free menu,” you say. “But they’re on the gluten-free menu, and you served them to a gluten-free person. Do you have others that are actually gluten-free?” You ask. “The sauce from the gluten-free menu?” You ask. “Yes, so if you don’t want gluten in that either, then you would just not eat it,” the waiter says. “Well, it’s just a choice for people,” the waiter says innocently. They have no idea what celiac is. Gluten sensitivity? Same thing. Never heard of it. Gluten-free, Seattle style, is purely a diet choice, not a requirement. I tell people how eliminating gluten saw me no longer suffer from asthma. I tell them how I instantly dropped ten pounds without even trying. They say it’s a fluke. They might ask how it’s possible, but as soon as I mention the villi, part of the digestive tract, as soon as I start talking about the inside of the body, they get squeamish or lose interest. They ask what happens if I eat gluten? I get digestive issues. Inside the body again? Oh, don’t want to know about that. Technically, the digestive system begins at the teeth and ends at, well, the end. Yet, people have no problem talking about their teeth. There are those who get it. Great companies have been founded on gluten-free. One company, Olivia Superfree, has a whole line of delicious baked goods – pies, bread, cupcakes, pizza crusts, brownies – which taste better than their glutenous counterparts. Another gluten-free bakery has cropped up: nuflours. I tried their lemon bar at a quick cafe stop during a bike ride, and was reminded of my grandmother’s favorite holiday meal comment, which must be said with food in the mouth and perhaps a bit in the throat, half-swallowed or so: “Luscious.” I see on their site they offer several gluten-free breads that look scrumptious. Okay, yes, some gluten-free products taste like sawdust (not that I’ve eaten sawdust), but you know, it’s funny because “normal” foods don’t face the same scrutiny as allergen-free foods. There are an amazing amount of truly awful tasting “normal” foods on the market, by comparison. Vegemite. Lima beans. Kim-chi. Pig ear. Tripe. Tongue. Funyuns. Oh, I’ll stop. By the way, it’s the “normal” foods that most often cause bad breath. Think corn chip breath. Think wheat breath. The truth is, gluten-free beer is just like wheat beer, except without the annoying bloat effect. Of course, if you like bloat, more power to you. People wonder how I manage to find enough safe food to eat. The fact of gluten being in nearly everything at the supermarket is born purely of industry, not human dietary needs or even availability. Wheat is often used as a filler ingredient or a binding agent. Do you want to eat binding agents? Do binding agents sound like they would aid good digestion? Whether gluten-free is a choice or a requirement, there are now plenty of options, pretty much wherever you go here. It’s smart to be careful, ask questions, and make sure you are truly getting the gluten-free goods. I just stick with the basics, fruits, vegetables, meats. I cook nearly all my own meals. If I find myself at a restaurant that doesn’t seem like they get that gluten-free is not a choice, I just order vegetables. Oh wait, I do that anyway. Going gluten-free is not nearly as hard as it sounds. All it takes is making a firm commitment to your health, and that’s about as easy as it gets. Don’t worry – It’s not your fault. Someone taught you to use a “no-reply” from email address with your customers. They taught you it’s a great way to cut down on being inundated with useless emails. What they failed to teach you is, the no-reply email discourages asking questions. It discourages customer interaction. It discourages connecting with people who want to give you their money, or learn something about you. It turns out “no-reply” is not your best email friend. Instead, it causes disconnect and frustration, because customers aren’t expecting you to be rude. That’s what no-reply is: rude. And because they don’t expect it, they click reply, type their questions, click send, and immediately get a notice of non-deliverability, a total fail. Customers want to trust you. Your no-reply email undermines trust by letting people know they are not communicating with a human being. Is that what you want? Instead of using a no-reply email, consider using a real person. Because real people reply. They connect and solve problems. They earn business. As an early adopter of social networking and social media, it’s been great reconnecting with old friends and making new ones. Back when the now-defunct Biznik was an up and coming social networking site, making exciting moves in small business networking, it was entirely possible to actually meet the people who were connecting, some even becoming happy clients. Now it’s all about extending networks of people I will probably never meet. I have to wonder, what is the point? And I must wonder even more so when the professional networking site LinkedIn can so completely screw up. LinkedIn regularly sends me notices that some person I have never heard of has accepted an invitation (that I did not knowingly send) to connect. My network of people I don’t know in any way has exponentially expanded. Wonderful. Hey, if you’re one of those, let’s have a cup o’ tea together! Today, for the umpteenth time, LinkedIn mentioned that among “People you may know”, most of whom I do not know, is my much missed friend Jerry Baker, who left the world last year. Thank you LinkedIn for sharing his picture in my inbox. It’s a fun picture. Of the old friends with whom I have in theory reconnected, I’ve not seen even one, ever. They do not call. They rarely write, and only on Facebook. If LinkedIn could somehow bring back my friend, boy, that would be something special, probably even worth sharing on Facebook. I mention all of this because it seems sites like LinkedIn and Facebook have become lazy, which is a reflection on society. They don’t even care if they are being offensive. Hell, they don’t know. These sites are nothing without the members, for they make their money from data mining and advertising, neither of which would be possible without you and me and everyone we know (or don’t know). The value in connecting in real life is in sharing our interests and unlocking parts of our imaginations. How does that occur when there is no connection in real life? Today’s Challenge: Connect with me in real life. Then, connect with me on LinkedIn. Not the other way around. C’mon: Let’s have a coffee and talk about life, business, dreams, what have you. Let’s make it real. Future Challenge: Will someone create a social network that encourages real life (psst: in-person) social interaction? Does one exist? If so, send me a link, would you? Even better, post it in comments below to add to the discussion. I love this book, I really do. Not in a body-bumping sort of way, but for its scathing honesty. At a time when the phrase ‘I feel like’ has grossly replaced ‘I am’, we need more telling like it is. More truth. Fighting to protect great work is not about fighting. It’s about knowing you have created work that will connect and be effective, and having the gumption to present it and manifest belief in others, such that your work will see the light of day, connect, and inspire more believers. The creative business is presently at a tremendous crossroads where technology and software, among other factors, are undermining craft to such an extreme degree that mediocre work, the stuff that bean counters consider “good enough,” is now far more common than superb work. It is a path that leads to obsolescence. Thing is, superb work is the stuff that truly makes bean counters happy (even if they don’t know it), because it is superb work that drives response. It’s not the metrics, analytics, or “customer acquisition” – a soulless term if ever there was one – that leads to effective design and advertising. It’s the heart and soul work. The work that really connects stands for something and has real meaning. Why is courage so important now? 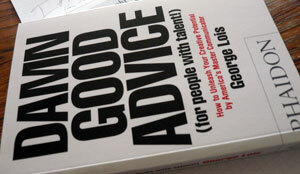 The courage to do great work is specifically what keeps creative professionals valuable. Without that critical character attribute, creative professionals risk becoming obsolete. When creative work has integrity, the talented people who craft it have integrity. So too do the brands that put it out into the world. When your brand has integrity, it connects, and that makes everybody happy. Update: Shift One, Typekirk, my type foundry was launched in July. For many years, I have written about branding and marketing, yet when I examine analytics for this site, consistently, posts about branding and marketing are the least read, while a single post about gluten-free eating gets 30x the traffic of any other post. This shows that while my Train of Thought clients want to know that I understand the intricacies of graphic design, branding, and marketing, relatively few people actually read the marketing posts here on my personal site. Why waste solid marketing wisdom? Time for a few changes here. For one, I enjoy helping people succeed. I really do. 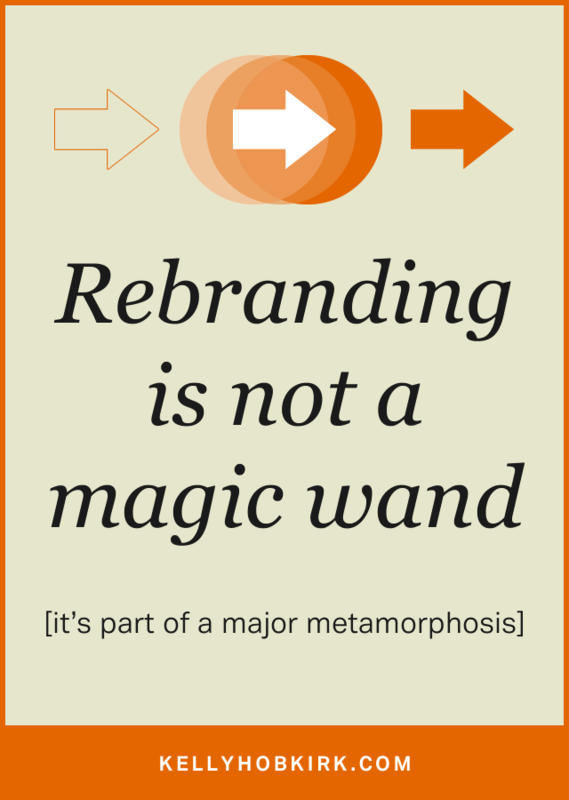 Branding and marketing is all about that, and I already have a company that does that quite successfully. Train of Thought has now been helping companies for 24 years. 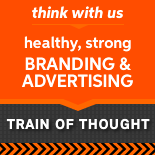 Most marketing and branding posts will now be on our Train of Thought blog. I hope you will sign up for our list Train of Thoughts, which receives exclusive monthly articles. Working smarter, graphic design, advertising, branding, and marketing – at least in the transformative manner I practice them – are not tidbit topics. Instead, learning about them in ways you can put to practical use takes time, dedication, passion, and experience. It’s the first of those – time – that is often hardest for people, because we all want instant results, yet effective marketing is all about making long term efforts. If you seek the inspiration tidbits (and some outstanding insights), much of which is in sync with my approach, read Seth’s blog. Rather than try to connect with shorter posts, I am asking readers to subscribe to Train of Thought’s email newsletter, which contains exclusive wisdom and shared experience. I will also write posts that answer tough questions, so if you have a marketing dilemma that has you stuck, sign up for Train of Thoughts – note the ‘s’, and ask me a question. You may just find your answer directly addressed in an article. You can sign up for the Train of Thoughts, monthly marketing matters list there – in the upper right sidebar – after which you will receive exclusive articles. I have others initiatives in the hopper, and will be talking about and showing them here as they launch. Thanks for reading.